A big welcome to Mr. Cordray, the new head of the Consumer Financial Protection Bureau! By Sally Greenberg, NCL Executive Director A big thumbs up to President Obama for his bold recess appointment of Richard Cordray as head of the Consumer Financial Protection Bureau. This is a federal agency created by and Act of Congress no less – that sets up a bureau of protection for consumers in their financial transactions with banks, pay day lenders, student loan companies, and many more entities. NCL strongly supported the establishment of the CFPB and we were enthusiastic supporters of its first interim director, Elizabeth Warren. The conservatives in Congress wouldn’t vote to confirm her so she left town and returned to Massachusetts, where she is running for Senate. [caption id="attachment_2295" align="alignleft" width="225" caption="Richard Cordray delivering his speech at the Brookings Institute Yesterday"] [/caption] Cordray, however, believes in the same simple goals that Warren was so adept at articulating. 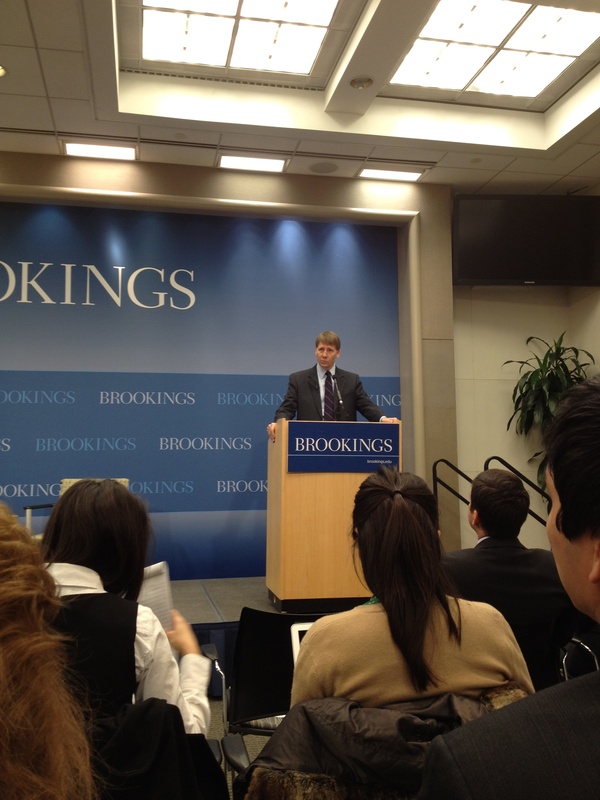 I was fortunate to be in attendance yesterday when the Brookings Institution hosted Mr. Cordray’s “virgin” speech shortly after his appointment as he spoke on importance of the new bureau: “Consumer finance is a big part of our economy and it plays a large role in the daily life of almost every American,” said Cordray. “We are rightly concerned about these things because consumer finance clearly has become more complicated and more risky in recent years. Hidden fees and exploding interest rates have infected more products and services, novel and exotic mortgages, battered housing markets, and triggered the financial crisis that wrecked the economy and hurt millions of people,” he continued. It’s as simple as that – consumers are faced with myriad financial decisions as a fact of daily life in America; unfortunately, the instruments they must sign, and the documents they agree to are far too complicated – indeed, they are a minefield. The Bureau aims to reduce these overly complex documents to a few pages of understandable prose and keep consumers out of trouble and financial institutions on the up and up. I like Cordray; he’s a “steady-Eddie,” and though I must say that he lacks charisma or charm, he is utterly solid and thoughtful. How Congress gets away with not even holding a hearing on this very accomplished public servant and lawyer—Cordray’s a former Ohio States Attorney General, a former state treasurer, clerk to two Supreme Court justices, and a partner at a white shoe law firm—is beyond me. All consumers – left, right or center – will benefit from Cordray’s leadership at the Bureau to help set a model for uncomplicated financial documents and oversee financial institutions, from banks to pay day lenders. If it has to be a recess appointment, so be it. We’re glad to have a leader at the Bureau and we wish him all the best in this tough but critically important new role.